THEY ARE THE BROTHERHOOD OF THE BLADE. 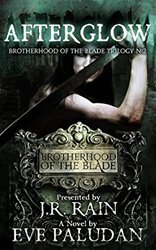 Rand Sebastian, who is now a trained vampire hunter with the Brotherhood of the Blade, faces dangerous challenges when a missing member of the Sisterhood of the Scythe returns to the castle after a long disappearance. There's just one problem: She's now a vampire, and she's asking for sanctuary. She also reveals intel that leads Rand on a mission to Romania to see if his kidnapped daughter is there. Planning a one-man invasion, Rand is stunned at what he discovers—it will take all of his courage and training to go up against the most evil vampire who ever existed.